Only a little muddy in the field! First off, I did some research on what would be sufficient and went to Agway in downtown Ithaca and purchased all the materials necessary. We used over 75 metal T-post stakes and bought a lot of poly tape fencing strand. The field was too wet to drive all the way to the plot so it took us a while to carry all the materials there. I then used a stake pounder to put fencing posts every 25 to 30ft. I came to the quick realization that pounding stakes is much more challenging in rocky , however we ended up finishing the first fence in under 3hrs! The following day we did the same process around the second plot and set up the fence chargers. Using a voltmeter we checked the charge and both were zapping with over 950 volts! It was a job well done, and now our precious hairy vetch and pea seedlings will be saved from the deer! 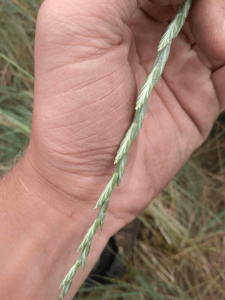 One of my favorite projects from the summer that we are currently wrapping up harvesting, is intermediate wheatgrass (Thinopyrum intermedium) which goes by the tradename Kernza. 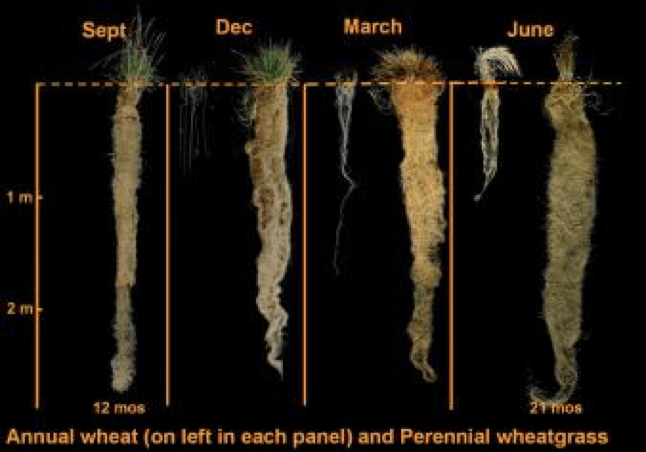 Kernza is a perennial grain developed by breeders at the Land Institute. 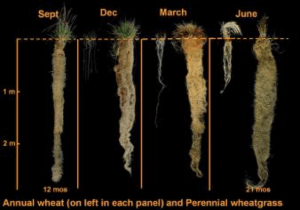 Kernza mimics a natural perennial system which does not require planting annually. Kernza also has the potential to be a dual purpose crop used for both grain and forage. It is very exciting to work with an idea as novel as this and I cannot wait to see where Kernza goes in the future. 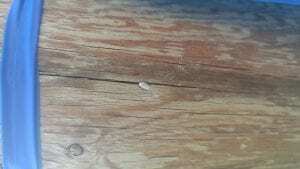 There were a few primary experiments that I worked on during my time with the lab. 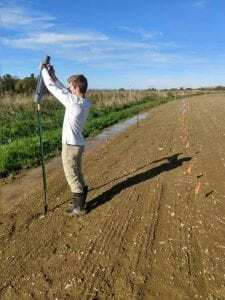 Primarily, I assisted with assessing productivity in intermedium wheatgrass. Before I joined the lab, multiple timing and frequency of forage and grain harvest as well as N application rates were applied and monitored. 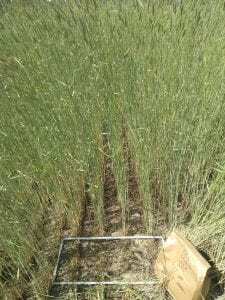 I assisted with the measuring of total plot forage biomass removed through completing crop biomass cuts, weighing wet and dry samples to determine forage moisture, grinding the material so it can be sent to another lab for forage quality testing, and separating, counting and weighing seed heads to determine grain yield. 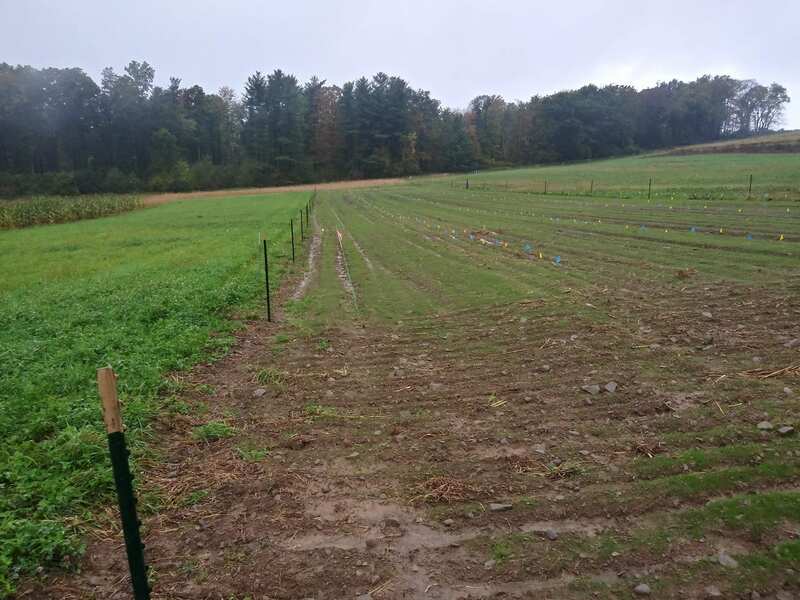 The other study I assisted with was exploring the potential of companion-planting red clover with intermediate wheatgrass. 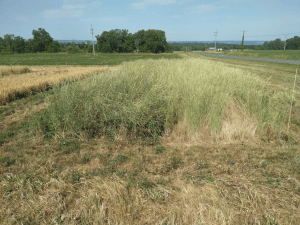 We wanted to know if a nitrogen-fixing crop such as red clover could supply sufficient nitrogen for Kernza, potentially abolishing the need for synthetic nitrogen fertilizers. In addition, I helped hand weed plots to determine the yield potential of Kernza in the absence of weeds. CFX-750 with FieldIQ for controlling a sprayer. After a very busy summer my internship has came to an end. I am very grateful for the opportunity I had over the past few months working at Vantage Northeast. 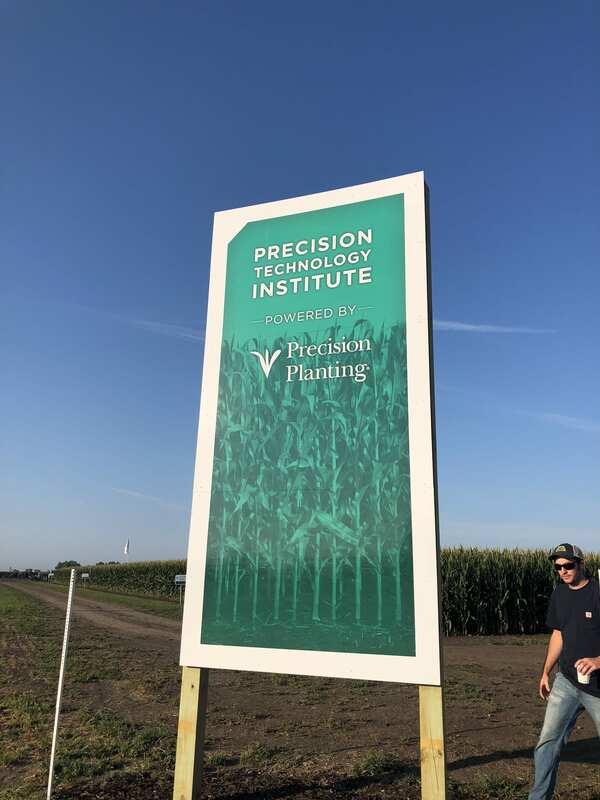 This internship was a great learning experience getting a chance to work with many different aspects of precision agriculture as well as meeting a ton of new people along the way. I made a lot of new friends this summer, but the one I got closest with was my quadrat. Since they were used so commonly in the lab I decided to focus this week’s blog on them. A quadrat is a metal, rectangular frame used to assess a small area of habitat selected at random to quantify values such as the distribution of plants, weed pressure, yield or biomass. Our quadrats ranged from a size of .25 to .5 square meters. 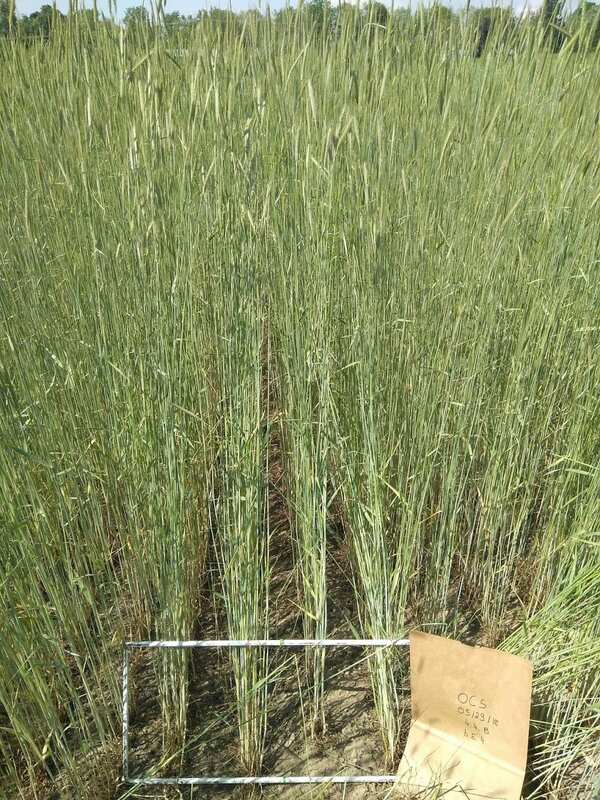 In most sampling events, forage or crop cuts were taken with the assistance of a quadrat for accurate results that can then be applied to a larger scale. Using various random placement techniques, the quadrats were laid across a certain number of rows or in the vegetation perpendicular to a cardinal direction. Samples were then clipped at various heights depending on the experiment. 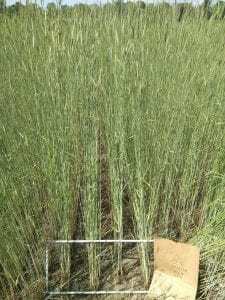 The crop, or crops of interest were next placed in one bag and the weedy species would be identified and bagged separately. Identifying the weed species was my favorite part because it was both exciting to learn and memorize new species and in a way very relaxing when considered work. In some scenarios, we would also separate seed heads from stalks. Although it does not sound very exciting, I actually really enjoyed this lab task. 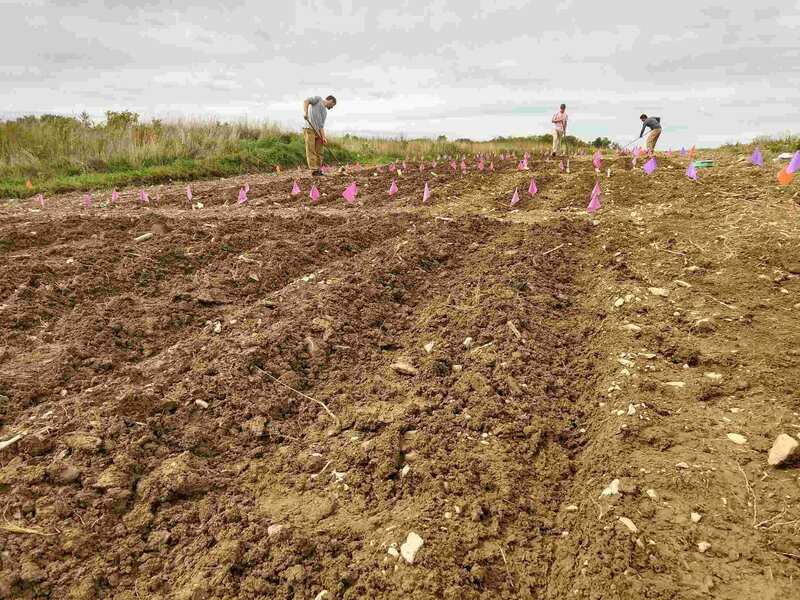 It was gratifying to give the plots a haircut while sitting in the sun, listening to music, learning a lot and grilling my coworkers with conversation and questions. 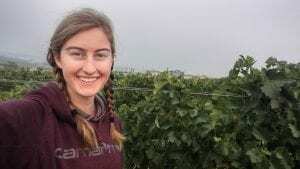 My last two weeks in Washington were spent working at various vineyards that are managed by Two Mountain Winery in Zillah. 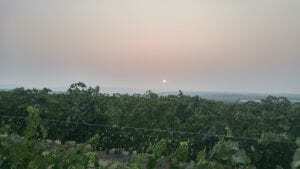 The vineyards at Two Mountain and those that they manage are very unique because the majority of their vines do not need to be planted on grafted rootstock. The majority of the world’s Vitis vinifera varieties are planted on grafted rootstock that is more resistant to a root pest called phylloxera. Phylloxera can be very damaging to a vineyard especially when planted on original rootstock. 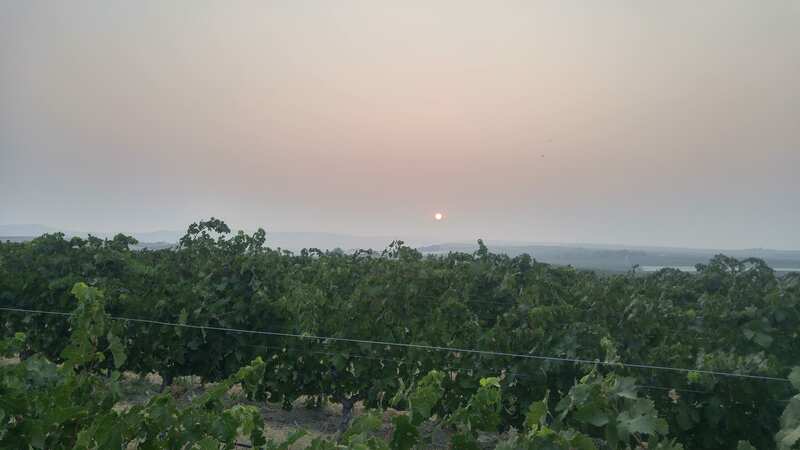 However, this one particular area in Washington is one of the only places that is void of phylloxera, therefore allowing original rootstock to be planted. My purpose for working at Two Mountain was to utilize my IPM expertise and develop an IPM plan that they can use in future years so that they don’t have to hire someone to scout for them. 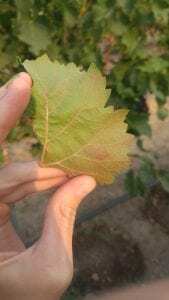 I was able to put together a plan that focused on the most important pests and diseases found in this region’s vineyards, which included two-spotted spider mites, mealybugs, powdery mildew, red blotch, leaf roll, and botrytis. I developed scouting densities based on the sizing of each block and varied the number of leaves sampled depending on the layout of the block. Along with the development of an IPM Guide, I took cluster counts to determine which blocks needed fruit cluster thinning. 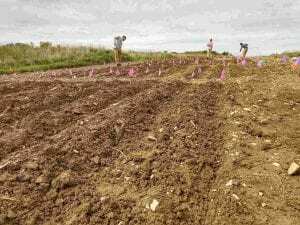 I also scouted one ten acre block, row by row, tagging all vines that had red blotch symptoms, so that they could be removed in the fall and replanted in the spring. Lastly, I learned to operate a forklift and helped sort harvest bins for each of the wineries to come and collect before harvest. I truly am grateful for having this experience at Two Mountain and for spending the summer working with the hops at Perrault Farms. I discovered that I liked working in the hops a lot more than I anticipated to and that I really enjoyed scouting for pests and learning about the different pests and diseases. This summer is definitely one that is going to help shape my future career. One of my favorite parts of this internship has been going to the National Apple Collection at Cornell AgriTech (formerly the Agricultural Experiment Station) in Geneva, NY. 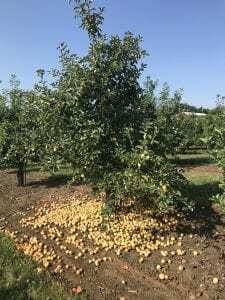 Cornell Orchards do have a variety of apples with their own interesting characteristics (like the Golden Russet’s flesh and Honey-crisp’s coloring when nutrient deficiency arises) however, these trees have been selected due to beneficial characteristics to dessert, cooking, and cider apples. 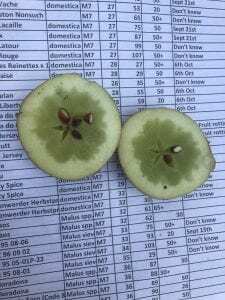 Some apple varieties are not as economically important, but could have unknown traits or simply have morphological features that make them interesting to look at. 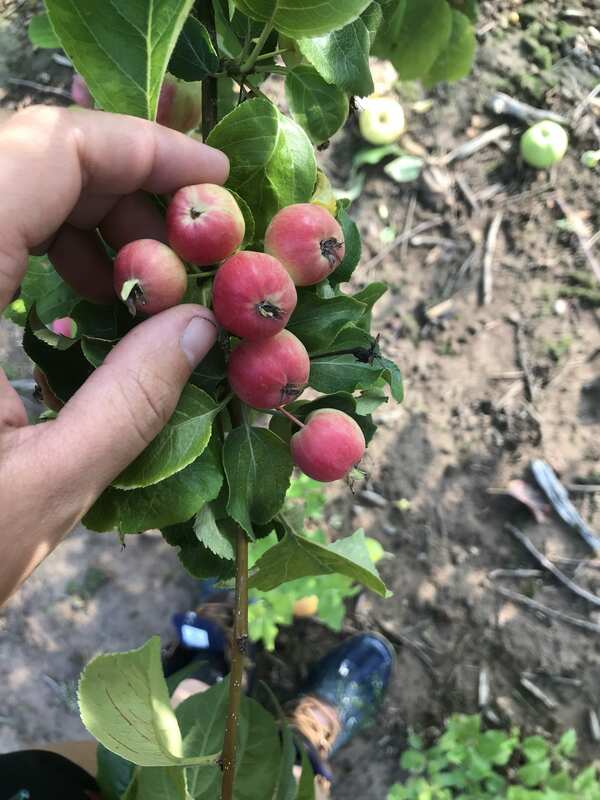 My internship at Cornell Orchards gave me the opportunity to view apple varieties that might not make the cut to many orchard sites, and test unknown varieties that may work well for hard cider production. Before this internship, when I pictured an apple tree, I pictured a common gala or red delicious apple tree, but now I think of apples as a variety of colors, shapes, sizes, heights, tastes, and more. I had no idea the AgriTech collection was so close to Cornell, but it is very interesting to see each variety progress and ripen. Here’s a peek at just a few different traits I saw when I was searching for the latest and greatest hard cider varieties. This apple variety dropped all its fruit before July 26. 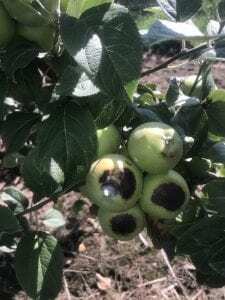 This is much earlier than when growers often desire fruit to ripen. The optimal season is around September-October. This variety has serious sunburning. This variety would not be suited for dessert purposes, as consumers would likely not tolerate this flaw. This variety had cherry sized fruit. This variety would be difficult to juice and probably not desirable to eat due to volatile levels. This apple has water core. 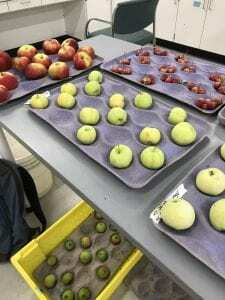 Some varieties develop water core due to environmental conditions. Water core can be seen as a disorder or a benefit–if stored or used as dessert apples, water core can develop an off aroma and might look undesirable to consumers. However, in cider apples, it could be beneficial as it increases sorbitol content, increasing the taste of sweetness. In certain parts of the world, this trait is considered a delicacy, but many consumers in the US would shy away from apples with water core due to lack of familiarity. These are some of the apples we brought back to test starch content, firmness of the flesh, and to juice to create cider. 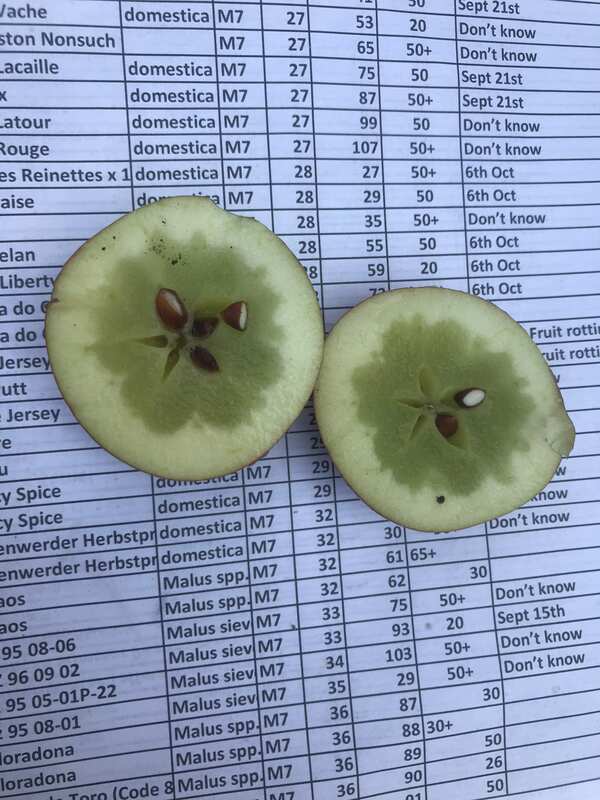 Each is unique and could bring different characteristics to our cider tests! Recently this summer, 11 other Cornell students and I traveled to Smithfield North Carolina to compete in the 2018 North Eastern Weed Science Society annual weeds competition. The contest was hosted by BASF Corporation who is the second largest producer and marketer of agricultural chemicals and related products in North America. It was very exciting to meet people involved in the industry as well as professors and students from other agricultural universities. 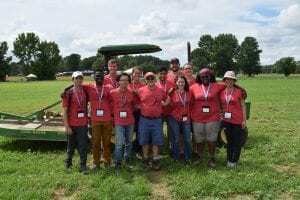 There were just under 100 students from Guelph, Clemson, NC State, Penn State, The Ohio State University, Virginia Tech and Rutgers at both the undergrad and graduate levels. The contest consisted of 4 main components, the first being Weed Identification. Of the 105 weeds we had to memorize, there were 25 in total to ID. 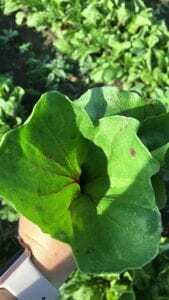 There were both mature plants and juvenile weeds consisting of only cotyledons, as well as 5 different weed seeds. Next we moved on to Herbicide Identification which consisted of 10 plots that had been sprayed with 1 of 25 herbicides two weeks prior to the event. 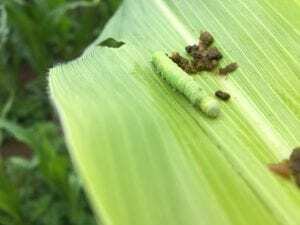 Using the symptomologies present, we had to identify the Herbicide as well as the family, WSSA group number, mode of action and site of action. This was the most challenging part of the competition, but in the end I managed to score decently well. 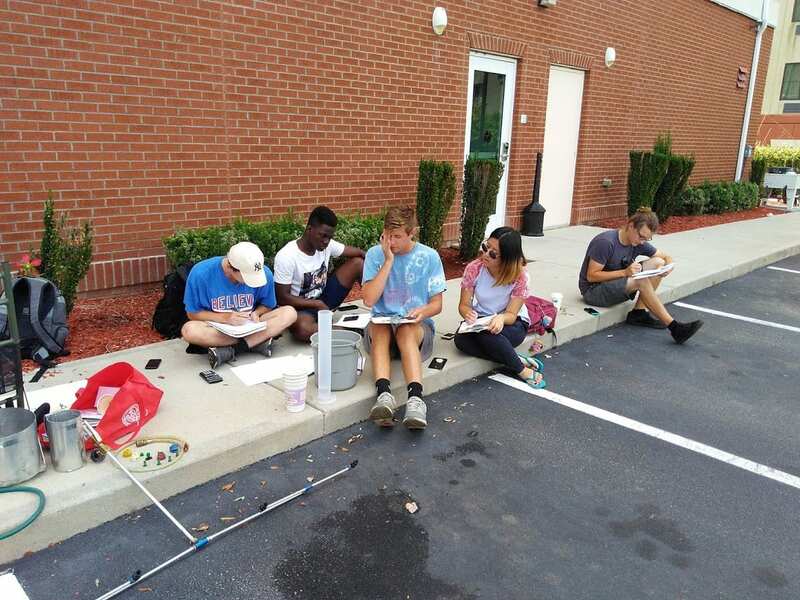 Next we took a written examination on sprayer calibrations and conversion as well as performed a random practice calibration with a backpack sprayer as a team. Finally, we had two “farmer problems.” This was my favorite part of the competition. We were presented with a common problem and had to identify it as well as provide solutions for the present and future. We acted as the consultant in each situation, however it was a little stressful because some farmers were acting mad and the questions were very inquisitive. I enjoyed it so much because I thought it was a great representation of common problems faced in the industry, which I have never had the chance to experienced firsthand. BASF then provided us with a great dinner at a local winery where we got to talk with people of the industry and awards were given. 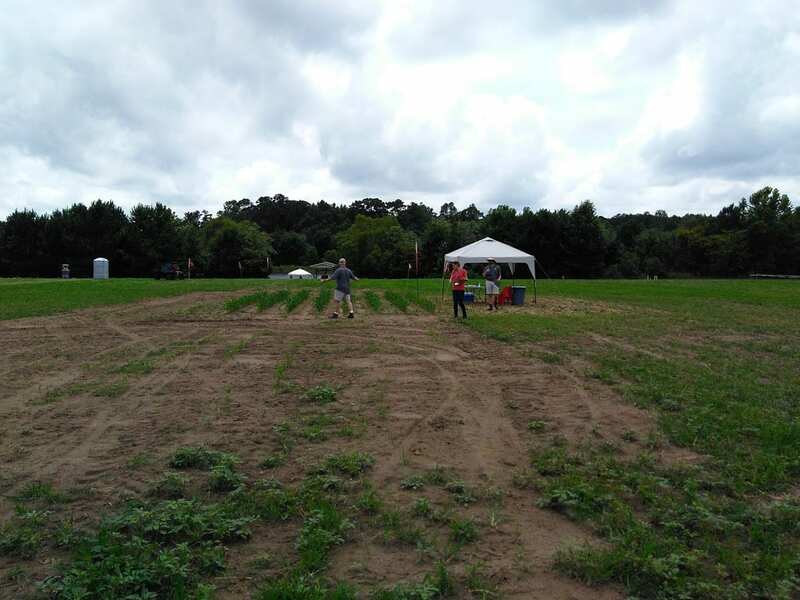 Overall the competition was very exciting and I gained a lot of knowledge I can now apply during my fieldwork at The Sustainable Cropping Systems Lab. For not having a weed science concentration or major like many of the other schools, Cornell placed very well! Our coaches Toni Ditimasso and Eugene Law helped out a lot in the learning process. I highly recommend that anyone staying in Ithaca next year checks out the team! 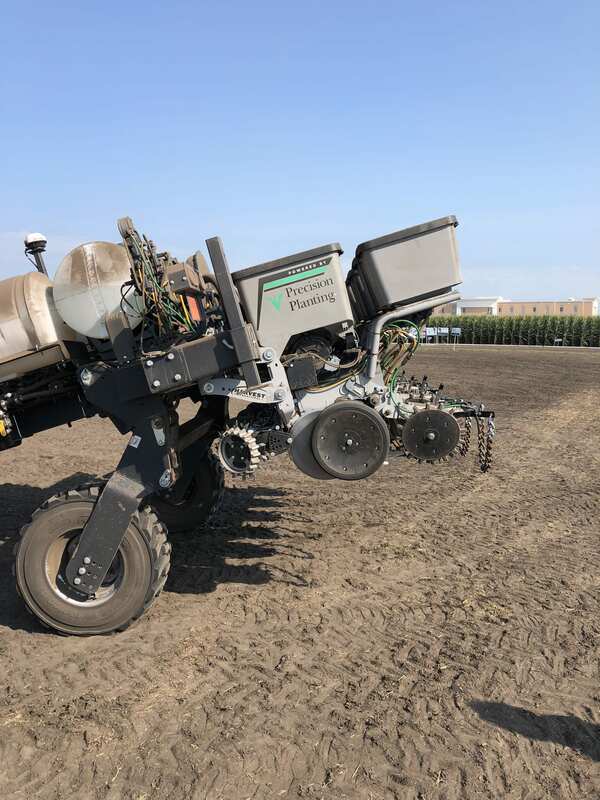 This past week we got the chance to get out of New York again and go out to Pontiac Illinois to Precision Plantings new 200 acre test farm. 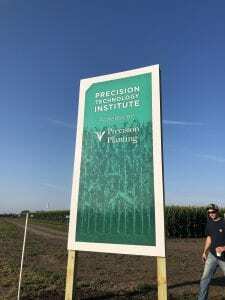 This was a great opportunity for training on Precision Plantings new product as well as meeting other dealers from across the country. 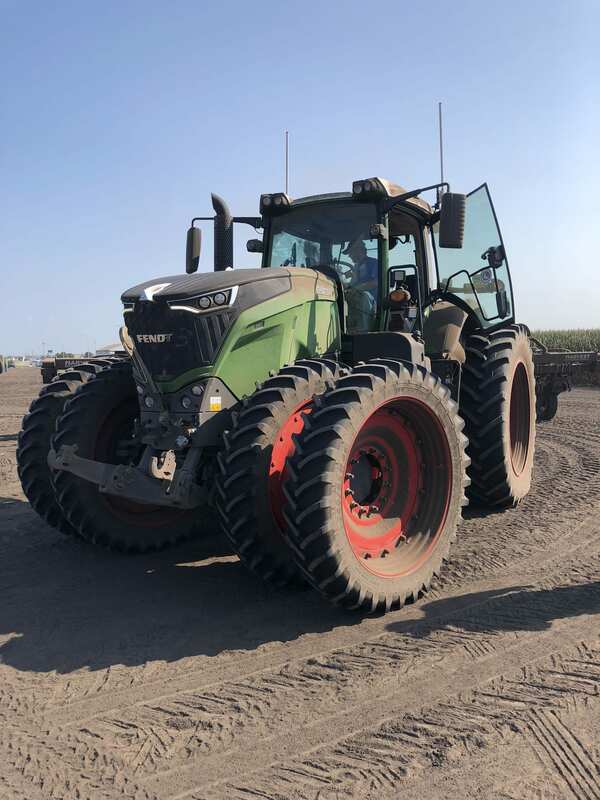 The day of training consisted of two different parts the first being the ride and drive time in what they called the sandbox and then the agronomy tour. 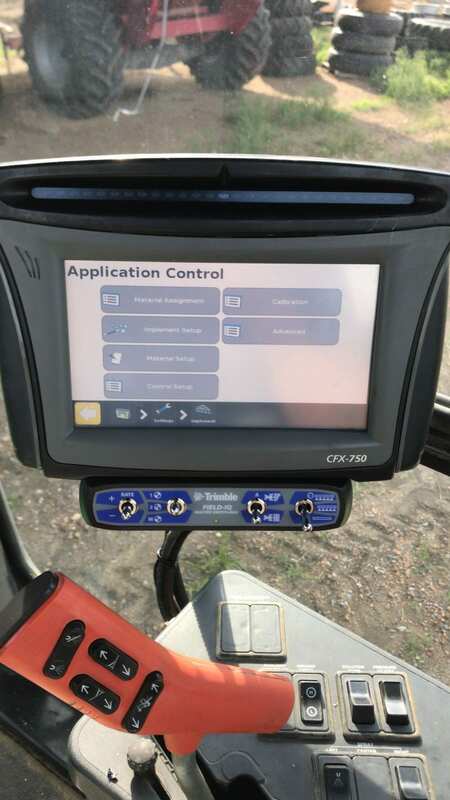 The ride in drive was great with precision planting recently being bought by AGCO they had a brand new line up of equipment for us to try all the different precision planting products on. The agronomy tour took us throughout the farm showing us each plot and new things that were in the works for precision planting. 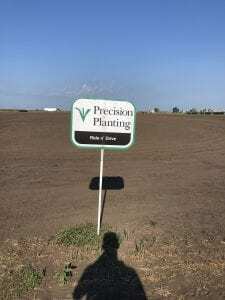 It was a great trip learning the benefits of each product and where they can be best implemented. 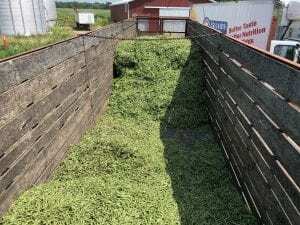 Green bean harvest was well underway because green beans are only a 55 day crop! I have had an amazing summer interning at Kreher Family Farms! As my internship came to an end, I couldn’t express my appreciation enough for all the opportunities I was provided with this summer. 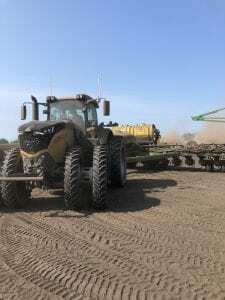 My last week was bitter sweet because I was so thankful for all the opportunities I was provided with but sad to leave and not see the completion of harvest (why isn’t corn a 45 day crop???). I want to utilize this post to reflect on my amazing summer and all the opportunities I was provided with. During scouting, I was able to find some unique things such as these two leaves that had actually fused together at the stem to form a funnel shape! These little guys make themselves right at home, even though they aren’t exactly welcome!production! field and vegetable crop. 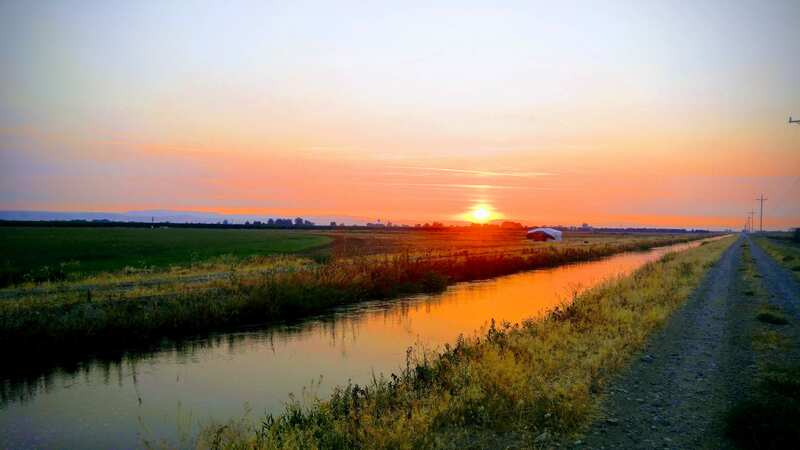 It is not everyday that you are able to experience an organic farm that not only grows field crops but also approximately 600 acres of vegetable crops. I was able to scout fields for insect and weed pressure along with conducting yield estimates. 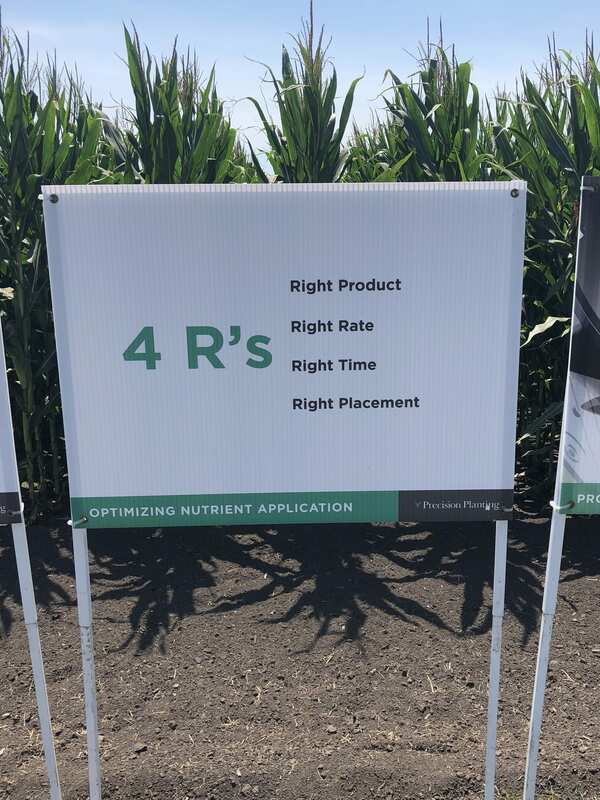 In some fields, specifically beets and corn, we took tissue and soil samples at various growth stages and sent them out for nutrient analysis. It was very neat to see the results of these samples and be able to make connections about why the results were what they were. 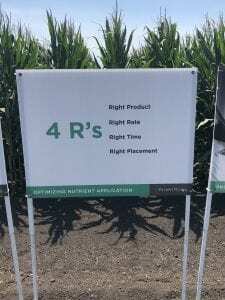 For example, the drought stress our corn experienced in the beginning of July was visible when compared to the irrigate corn sample from right across the street! 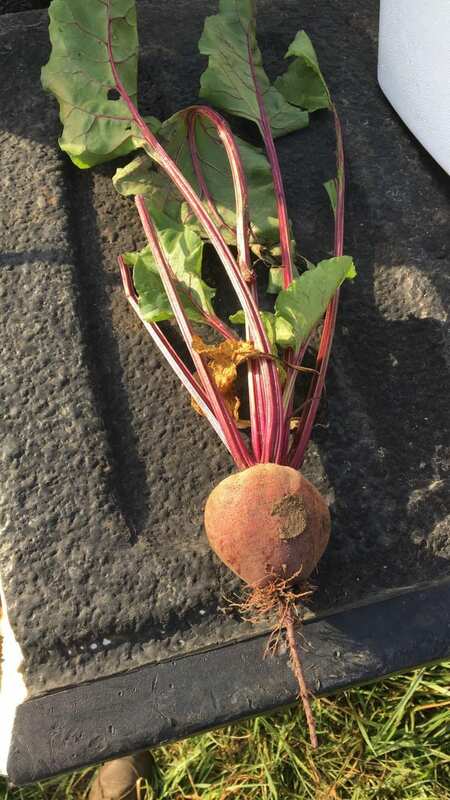 In the beets, we were paying particular attention to the boron levels in the tissue samples because beets require a high level of boron and we wanted to apply foliar boron applications at the correct time. 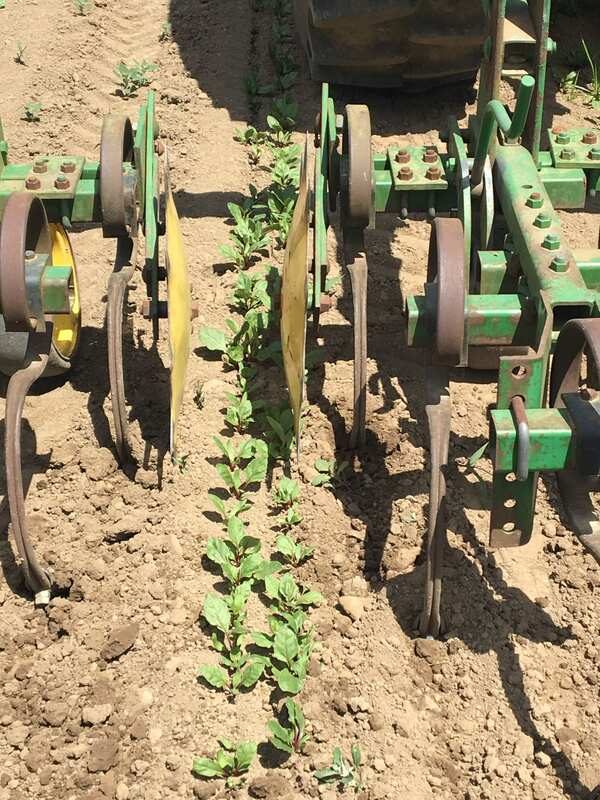 Mechanical cultivation is crucial in organic production. This is a six row cultivator with row guards in place, cultivating twin row planted beets. I also had the pleasure of being involved in some planning meetings about next years crop plan and this winters cover crop plan. It was important for us to keep in mind the desired rotation but also considering where we were experiencing high weed pressure and should be utilizing cover crops to decrease weed pressure in future seasons. Other things to keep in mind while planning for the future included availability of irrigation, soil type, and proximity to the main farm location. Finally, I would like to reflect on my experience with being involved in audits that occur on the farm. In the moment, preparing for and completing an audit may not be the most enjoyable experience but now that I look back on them, I was able to learn a ton from the experience. During my times at Kreher’s, we completed our NOFA-NY Organic audit and a GLOBAL G.A.P. Food safety audit. These audits were both very different but each serve there own purpose. GLOBAL G.A.P. focuses on food safety in the vegetable crops. The auditor wanted to make sure we were following proper procedures to ensure a safe product at the end. Some things she looked at included records of sampling irrigation water and testing it for E. coli along with other potential contaminates. They also wanted to see records of equipment cleaning to make sure that was occurring at appropriate intervals to prevent food safety issues. Overall, my experience at Kreher Family Farms was extraordinary and I could not have asked for a better experience. 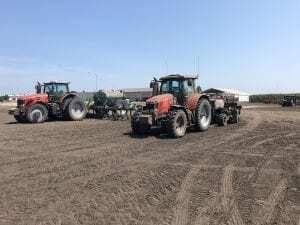 I was able to experience a one of a kind large scale crop and poultry operation and make connections that I hope will last past these three summer months. The last few weeks have been spent preparing for harvest. 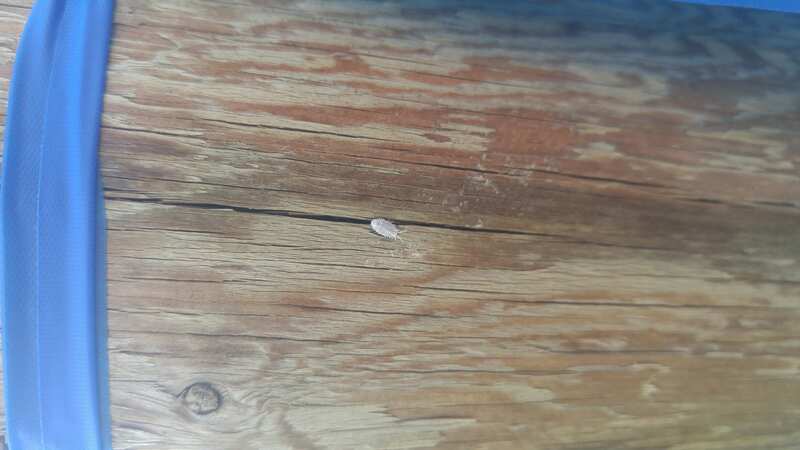 Mite counts have increased in various fields and scouting densities have slowly decreased in the fields that haven’t had as much activity. Brewers and researchers have been busy visiting the farm in preparation for the upcoming months. I had the chance to attend a meeting with Yakima Chief Hops (formerly Yakima Chief HopUnion) with salesmen and women who work for YCH. 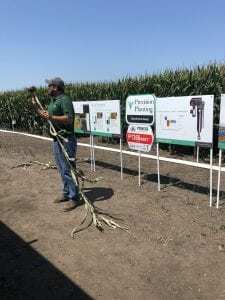 At this meeting, Jason Perrault, the CEO of Perrault Farms, Inc. and Yakima Chief Ranches (formerly known as Select Botanicals Group), gave a speech regarding the various new experimental varieties YCR has been developing and how they will affect growers and brewers. Citra® has since been listed as the number one hop variety used in beer, surpassing Cascade which has been the leader for many years. Following Jason’s speech, Amy Matthews, the Brand Manager at YCR, discussed patents and registered trademarks. I thought the information she provided was very interesting. With hops, a variety has a “code” which the hop is patented under. This code describes the characteristics which make that specific hop unique, allowing a company to patent it. However, separate from the code is the brand name which receives the registered trademark. For example “Ekuanot®” is the brand name of this hop and “HBC 366” is the patent name. Therefore, she wants the salesmen and women at YCR to refer to hops only by their brand name since this is what is trademarked and will be used when marketing the product. Finally, Jeff Perrault gave a presentation on pre-season through post-harvest operations which included information on planting new fields, training bines, IPM, pesticide application, harvest operations and preparation for the winter. The last nit of our work at the farm has included the completion of sap analysis, scouting of fields, and roguing. We have been going back through fields that we have rogued and have been using biodegradable survey spray paint to mark the male hills. This will make it easier for our supervisor to remove male hills after harvest. 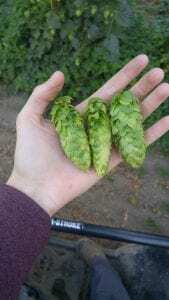 Below is an image of hops that were pollinated by a neighboring male plant. These hops caught my eye because of their large size due to containing seed. 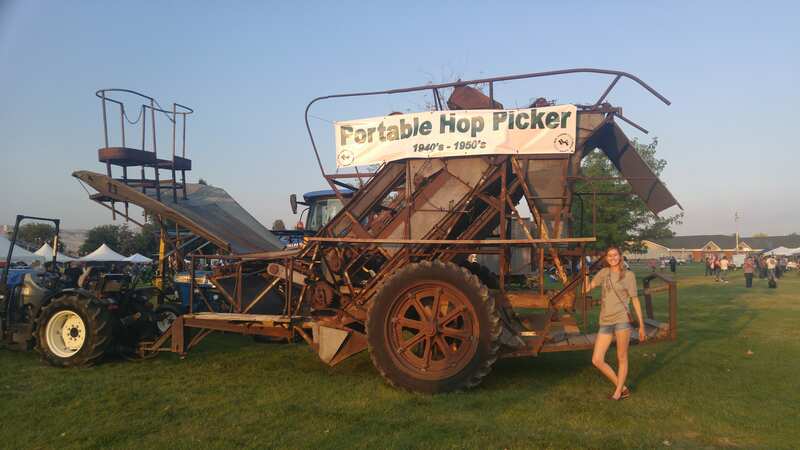 Last weekend I had the opportunity to attend the Moxee Hop Festival where I saw this hop picker that was used in the fields back in the 1940’s. 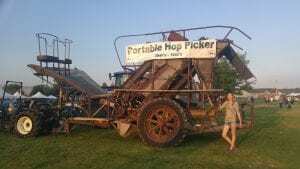 A hop picker is used to separate the leaves and woody material from the cones. It is incredible to see the technology that was used back then and compare it to what is being used today! 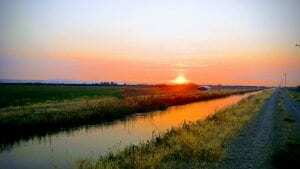 I complete this post with the last sunrise I will be seeing at the farm. I’m excited to announce that for the last two weeks of my internship, I will be working at Two Mountain Winery in Zillah, WA developing an IPM plan that they can continue to use in their vineyards in future years!